The new Interreg MED Blue Growth community, which promotes Blue Growth in the Mediterranean region, has been established. 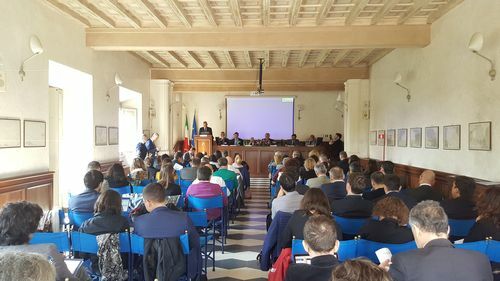 The Community was formalised at a launch event organised by the Interreg MED’s InnoBlueGrowth project, which includes the CPMR as a partner, along with CoNISMa (lead partner), ASCAME, Plan Bleu, NTUA and the University of Montenegro. Over 100 stakeholders attended the event to discuss the meaning of Blue Growth, share experiences and exchange ideas for further cooperation. 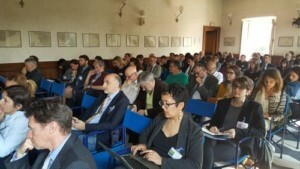 Representatives of institutions such as the Italian Ministry for the Environment, the Italian Ministry for Foreign Affairs, the Union for the Mediterranean (UfM) and the Regional government of Crete were in attendance. They were joined by representatives from a range of initiatives and projects, including the BLUEMED project, who introduced their various approaches towards Blue Growth as a key strategy for the socio-economic development of the Mediterranean and the environment. These visions helped to open community building discussions between the participants, InnoBlueGrowth representatives, and the different modular projects attending the event – iBLUE, MAESTRALE, PELAGOS, and PROTEUS – which deal with the yachting sector, blue energies, and maritime surveillance respectively. The event’s speed-dating and round-table activities allowed participants to learn more about the focus of each project, and share their own methodologies, encouraging everyone to exchange good practices and seek opportunities for future collaboration. Discussions on business development, environmental sustainability, public-private partnerships and technology funding also gave participants the chance to debate the current state of blue growth, on key thematic project issues and transversal ones such as governance, spatial planning, modelling, and data. These discussions provided useful inputs for the organisation of the InnoBlueGrowth project’s upcoming Community and Capitalization events. Find out more information about the projects. Follow the Blue Growth Community on Twitter and watch its brand new video! Save the date! The next Community-Capitalization event is on September 25-26, 2017 in Marseille – Yachting sector.